How’s Life? 2017 charts the promises and pitfalls for people’s well-being in 35 OECD countries and 6 partner countries. It presents the latest evidence from 50 indicators, covering both current well-being outcomes and resources for future well-being, and including changes since 2005. During this period there have been signs of progress, but gains in some aspects of life have been offset by losses elsewhere. This fourth edition highlights the many faces of inequality, showing that gaps in people’s achievements and opportunities extend right across the different dimensions of well-being. It exposes divisions according to age, gender, and education, and reveals pockets of inequality in all OECD countries. It also brings to light the many well-being disadvantages that migrants face in adapting to life abroad. Additionally, the report examines governance as seen from the citizen’s perspective, revealing gaps between public institutions and the people they serve. Finally, it provides a country-by-country perspective, pinpointing strengths, challenges and changes in well-being over time in 41 country profiles.How’s Life? 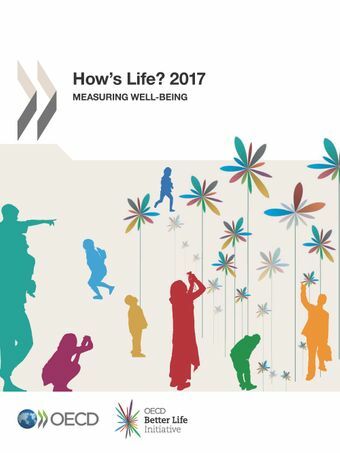 is part of the OECD Better Life Initiative, which features a range of studies and analysis about people’s well-being and how to measure it, and includes the interactive Better Life Index website. Migrants' well-being: Moving to a better life? These country notes present selected findings from the How’s Life? report, and show what users of the Better Life Index in specific countries are telling us about their well-being priorities.